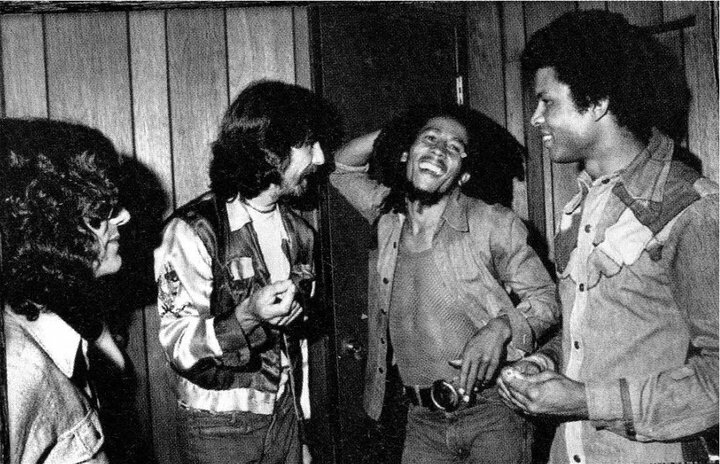 This classic photo of George Harrison and Bob Marley was taken on July 13, 1975, backstage at the Roxy Theatre in Los Angeles, California. Here are the only other photos from this historic meeting taken by Kim Gottlieb Walker…. By all accounts, they had a short five minute conversation and a mutual respect and admiration for each other. 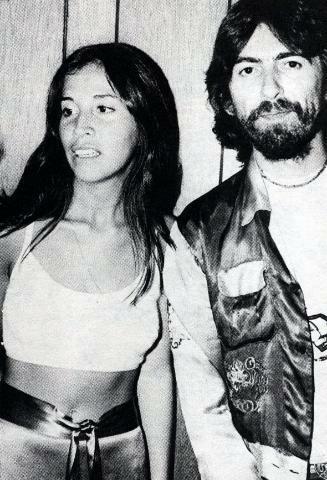 Here’s another photo of George that night with his future wife Olivia Arias (Harrison). 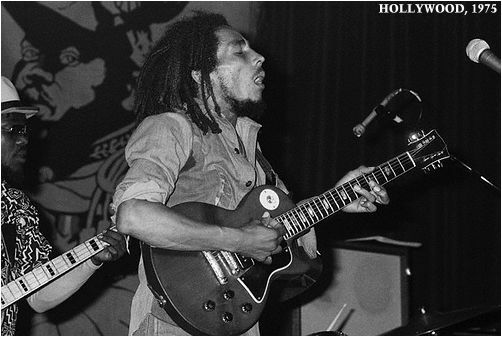 Here’a a photo of Marley performing at the Roxy right after his historic meeting with Beatle George. 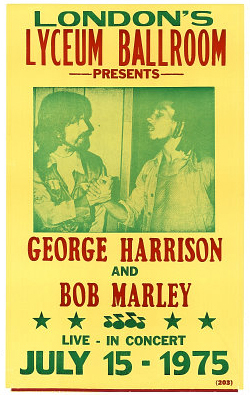 People have even gone so far as to take the classic photo and make it seem like Bob Marley and George Harrison actually played a show together. It would have been pretty awesome but it never was planned or ever happened. Check out one of the fake concert photos floating around the internet. what did bob refers when said ras beatle? Did Bob meet any of the other Beatles? I know John wanted to met him but never got round to it. Did Paul ever meet him? I don’t think Ringo was a reggae fan but Paul was/still is. The second 2 photos (of the three backstage meeting George) I shot backstage at the Roxy in 1975. 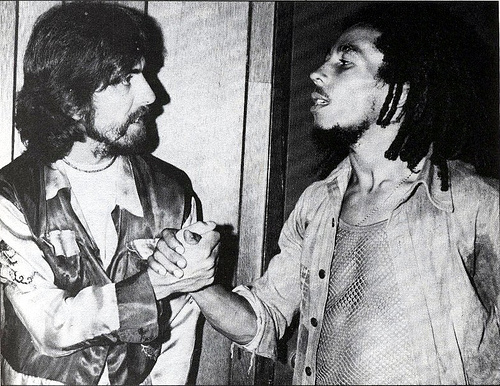 I believe Ringo also met Bob at a later Roxy gig…but I have no photos of that. 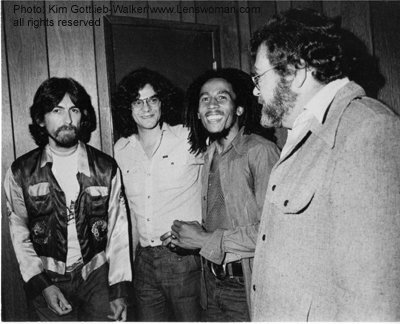 The third photo shows George, Jeff Walker (then head of publicity for Island USA who arranged for them to meet and introduced them), Bob and on the far right, Charlie Nuccio, president of Island USA.